Somebody switch the AC on because it is getting hot in here. 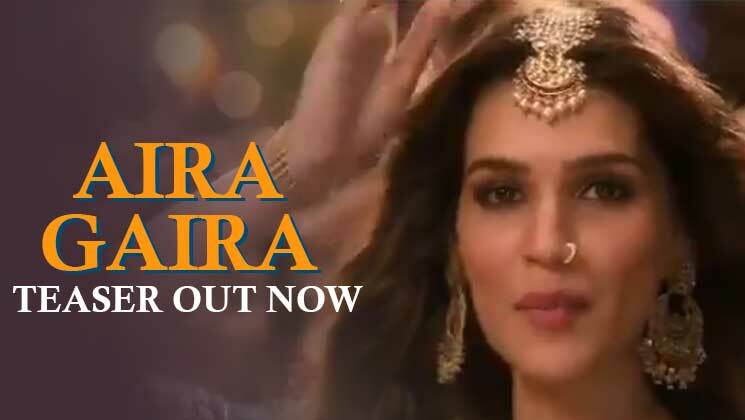 Kriti Sanon has absolutely nailed it in a special dance track she has in ‘Kalank’. Yes, that makes us even more excited about the film that is releasing next Friday. Well, well, we wish tomorrow could come sooner. Speaking about Kriti, she is having a great 2019 and it looks like she is going to hit the big league soon. Her performance in ‘Luka Chuppi’ was loved by the audiences, and you have to admit, she has really come a long way as an actor. The actress has a strong head on her shoulders and knows how to deal with setbacks and failures well. In an interview with DNA India, she spoke about how ‘Raabta’ (despite being a failure) was a turning point for her. “‘Raabta’ was the first film that I actually did a workshop for, before the shoot. I had put in a lot of effort for the film. It was panned but whoever watched it, liked the performances. That’s one of the reasons why its failure didn’t harm me in any way. I felt I grew as an actor through the film. There was so much thought process for the character. Before that, I don’t think I have done that ever. I would always do scenes in the moment. I was obviously very attached to the film — I lived the film for over a year. I still am. I have no regrets about doing it,” she said.